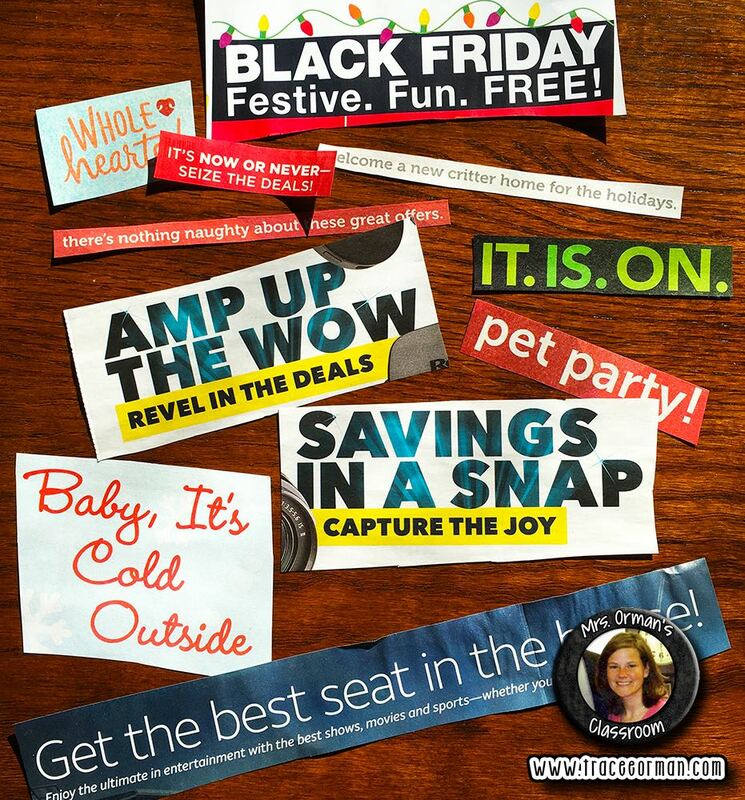 During the holidays, advertisers ramp up their advertising, luring buyers to their stores. 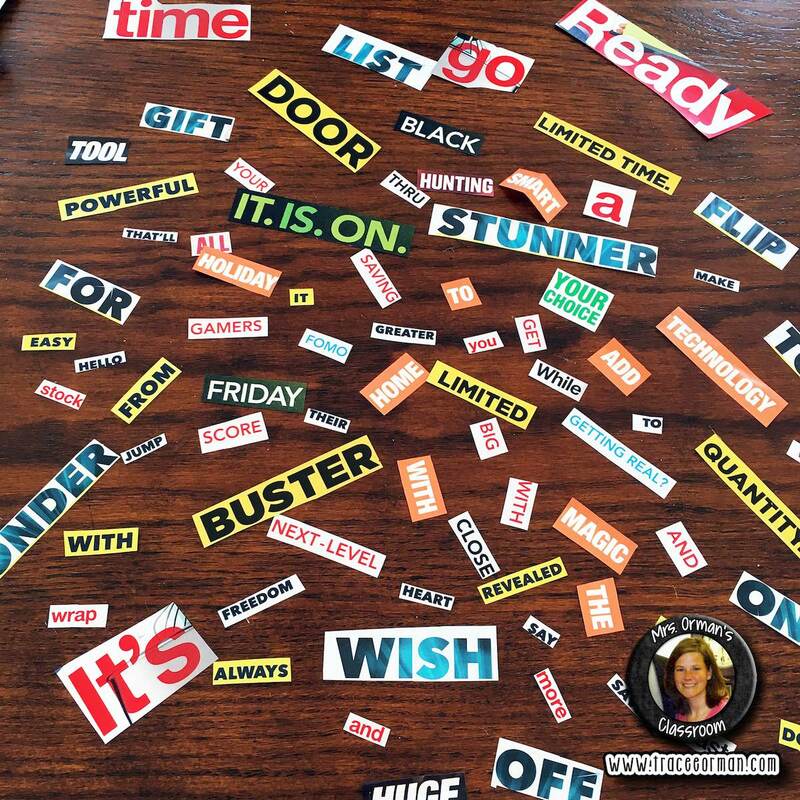 They'll use colorful, vivid words to snag new customers, which actually works in YOUR favor, English teachers! You can use their ads to teach a number of lessons. 1. CHANCE (or DADA) POEMS: Cut up the words and use them for an impromptu poetry writing session. I like to store the words in little plastic baggies and use them when we have time left at the end of the period. 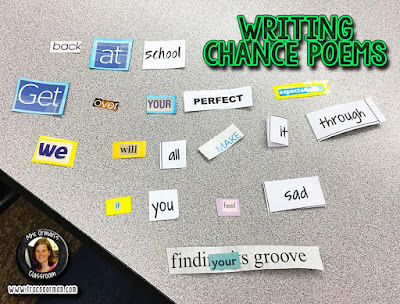 I'll have students work in groups and prompt them to create a poem based on the lesson we just practiced (or the book/story/character we are reading). Or if there is a fun event coming up (a holiday, a dance, etc. ), have them create a poem related to the event. 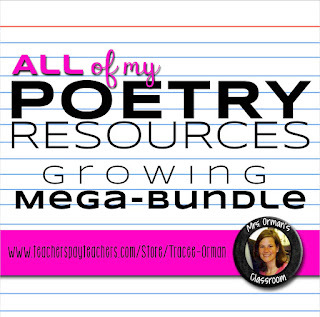 Give them a limited time to create a poem, then have each group share with the class. 2. PARTS OF SPEECH REVIEW: Have students cut out the words themselves*, only with a twist--require students to find an example of each part of speech (noun, pronoun, verb, adjective, adverb, preposition, conjunction, and interjection). You can make it a contest and see who can come up with the most (and the most interesting). 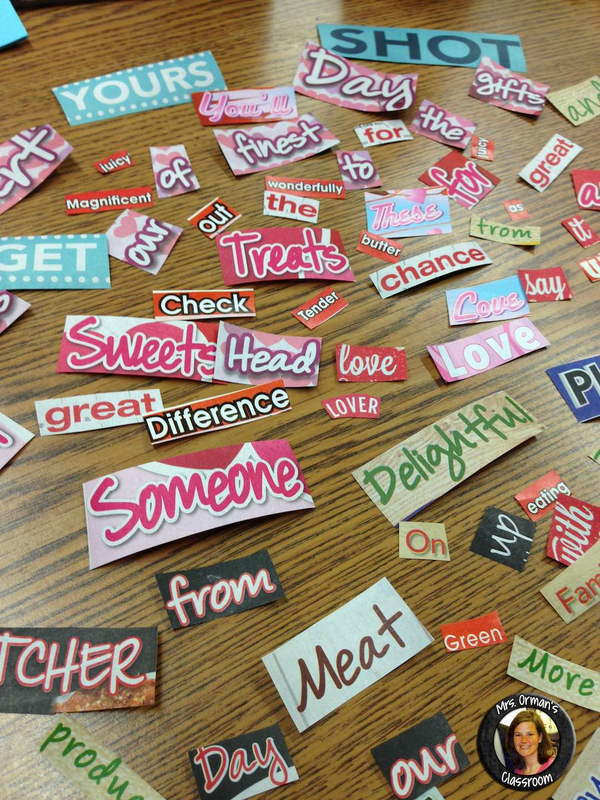 *If the words are already cut out, they can just each take a baggie full and sort them by part of speech. 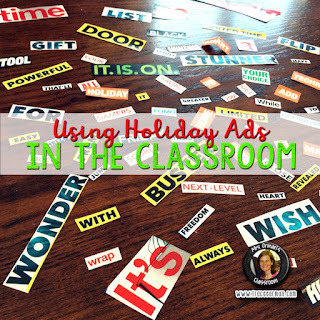 3. REVIEW IDIOMS AND CLICHÉS: Ads are perfect for containing overused idioms and clichés. Introduce and/or review the figurative phrases with your students. 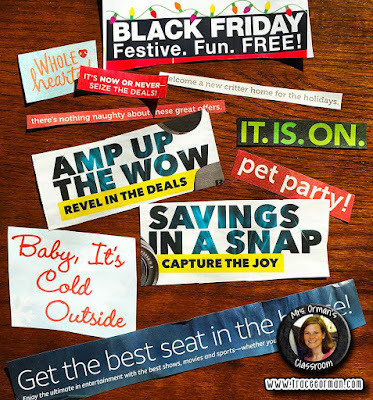 Have them find their own in the ads, old magazines, or in newspaper headlines. 4. 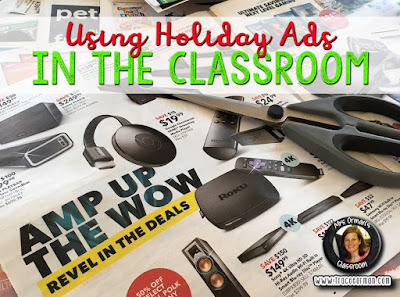 ANALYZE THE MERIT OF MARKETING: Have students look over the ads, analyzing the marketing techniques used, including the word choices and design/aesthetics (colors, font, and placement of words and products on the page). Which phrases stood out to them? Which did they pay little attention to? Were others more effective? Why? 5. ANALYZE TARGET AUDIENCES: As students look over the ads, ask them to evaluate who might the target audience be for the ad. How did they come to that conclusion? Which words and/or phrases did they use as clues? Do the ads stereotype? 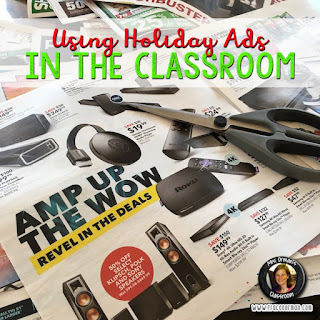 I've been using ads and newspapers in my classroom for years. If you do not have access to a newspaper or magazines, check with your media specialist to see if she/he has older copies that can be saved for you. Also, your school may be eligible for Newspapers in Education. It's a wonderful program that supplies classrooms with copies of newspapers, which are paid for by donations from local businesses. 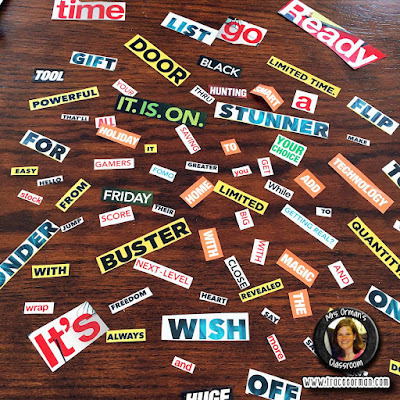 My Magnetic Poetry Kit is also an option for activities #1 and #2 if you don't have access to newspapers or magazines. You can keep collecting the ads through the spring: Valentine's Day ads are perfect for love-inspired poems; there's also President's Day, St. Patrick's Day, Easter, and so on... Each holiday will offer different flavors of language to suit the occasion. 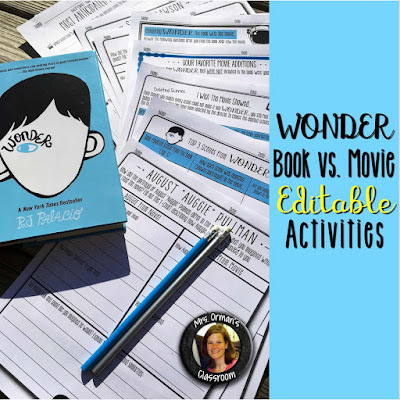 Now that the movie version of R.J. Palacio's bestseller Wonder is out, your students can practice great critical-thinking skills comparing the novel to its theatrical rendition. The seventh Common Core anchor reading standard (CCSS.ELA-LITERACY.CCRA.R.7) asks students to "Integrate and evaluate content presented in diverse media and formats, including visually and quantitatively, as well as in words." 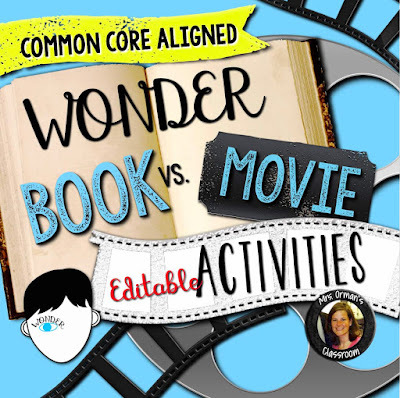 The movie version, of course, is the visual depiction of the text, so it's a perfect opportunity to practice this skill in your classroom. • Before seeing the movie, have your students describe how they envision the characters in their minds from the evidence given in the text. For example, we know Jack's character has curly blonde hair from Justin's description of him on page 187. Then, after they see the movie, have them describe what Jack looked like in the movie. How did his depiction differ? • Have your students write which scenes/events from the novel they hope to see portrayed in the movie. For example, one student may hope the movie shows the story of Auggie's birth, including the farting nurse. Another student may hope to see Via and Justin acting in "Our Town," while another student may want to see Henry, Miles, and Amos saving Auggie and Jack from the seventh graders at camp. After the movie, have them reflect on how these scenes were represented in the movie (or if they even made the cut). • Sometimes certain events from the book cannot logistically happen in a movie so they may be changed completely into a whole new scene that didn't happen in the book. 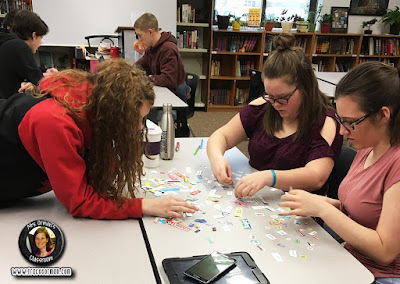 After seeing the movie, have your students write about their favorite movie "additions"--the scenes that were never in the book, but were in the movie. Ask them how it enhanced or changed the way they "saw" the story from the book. Did it make it better? Worse? 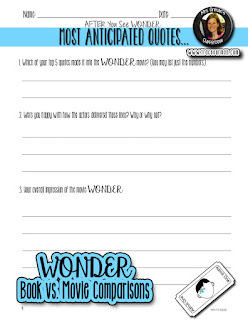 • Have students write a list of their favorite quotes from the novel. They can also reflect on WHY those quotes are important to them. • After seeing the movie, have them reflect on those quotes and whether they were included in the movie. For those that were omitted, did it change the way they felt about the story? For those that were included, did it enhance the meaning of the quote when they saw/heard it in the movie? 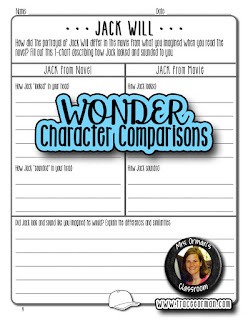 • The quote activities for Fourth grade work very well for the Fifth-grade standard, as well--especially reflecting on if and how it enhanced the meaning of the text when they saw/heard it in the movie. 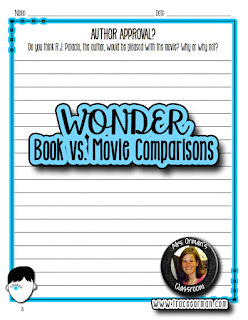 • In addition, your students can evaluate the scenes from the book that did NOT make the cut in the movie. How did their absence affect the story? Were there any scenes deleted that they thought should have been in the movie? • Both activities for Fourth and Fifth work well for Sixth. 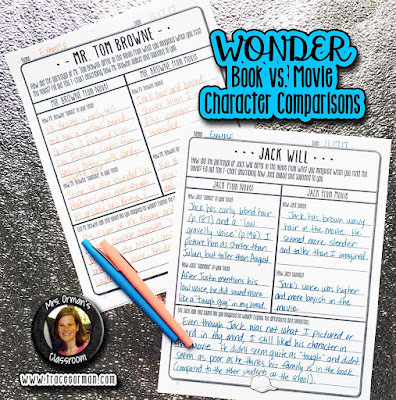 • When students compare and contrast specific character depictions, have them describe how they "heard" the characters when they read the novel. For example, we also learn in the book (through Justin) that Jack has a "low, gravelly voice" like one of the kids from the Little Rascals (p. 196). Did Jack's voice sound the same in the movie? Did it change the way they perceived Jack's character? • Another activity that will allow students to analyze the movie depiction is asking themselves whether they think the author would approve of the movie? 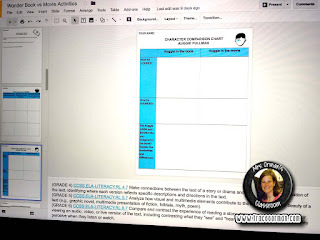 This allows them to think critically about both the text and the movie and whether the overall effect--with changes and all--made a difference or not. 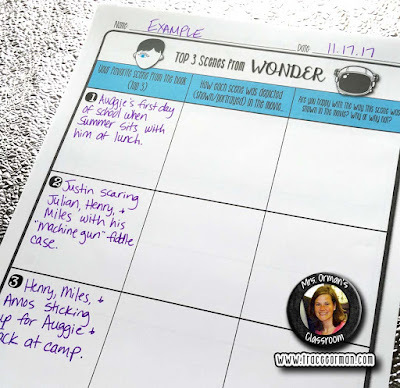 All of these activities can be found in my Wonder Book vs. Movie Activities pack. 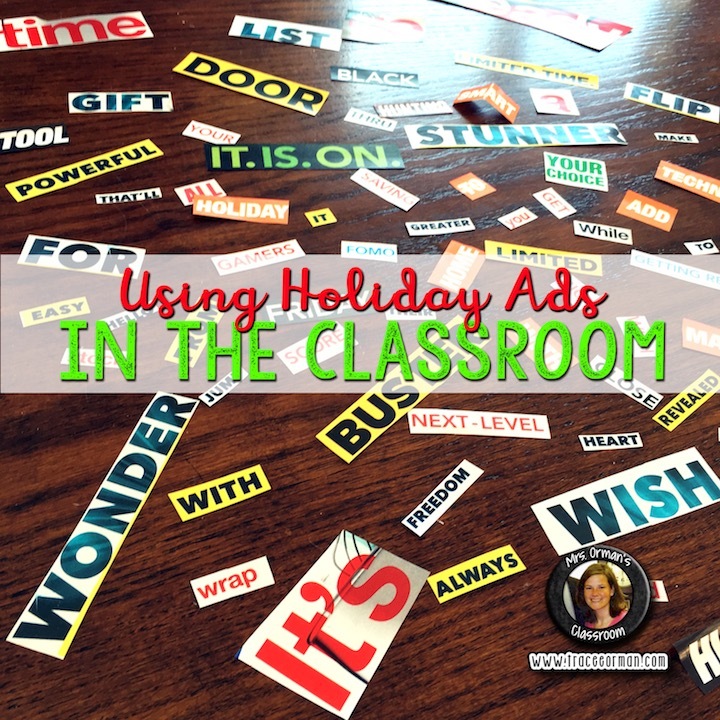 I offer them in ready-to-print PDF format AND in editable Google Slides format that you can customize for your students and print OR share digitally for a paperless activity. These can be found in my store by clicking on any of the linked images. I hope you enjoy the activities!